Haga clic aquí para ver la traducción al español de este comunicado de prensa. 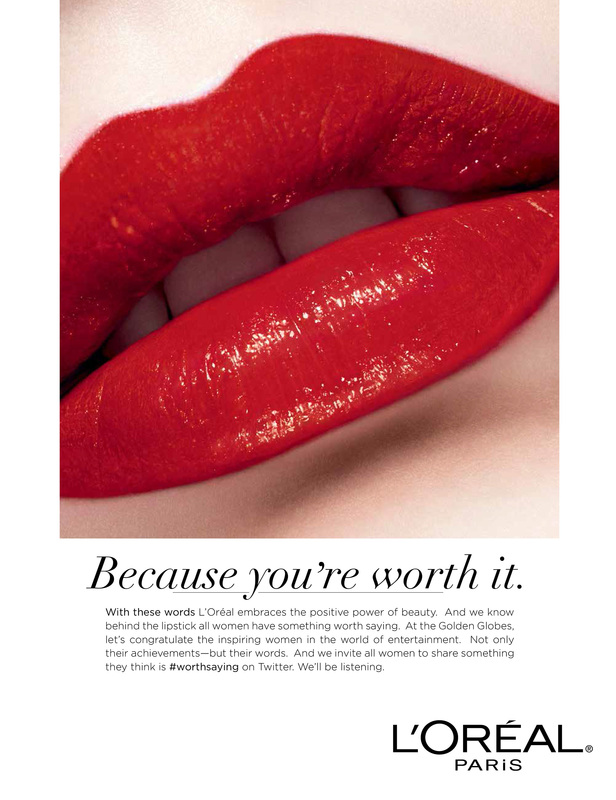 PR Newswire, New York, NY – January 6, 2016 - L’Oréal Paris believes women’s lips can be bold in more ways than one. For the first time, L’Oréal Paris is leveraging its red carpet authority and broadcast sponsorship of the 2016 Golden Globes to go beyond beauty with the launch of the #WorthSaying campaign. As recent award show red carpets have demonstrated, female celebrities are speaking out and sharing information about their work, careers, and other meaningful topics. Designed to propel this cultural shift, #WorthSaying, launching January 10, the night of the Golden Globes, encourages women on the carpet – and off – to share words they believe are truly worth saying. From the brand’s lineup of empowering, accomplished spokeswomen to its inspirational Women of Worth philanthropic program, L’Oréal Paris’ message of worth is implicit throughout, as the brand believes that when a woman feels worth it, she can achieve anything. In fact, according to research*, 3 in 4 women agree that powerful and motivating language makes them believe they can accomplish whatever they set their mind to, and the majority of women agree that powerful and motivating language gives them a stronger sense of self-worth. The night of the Golden Globes, the brand’s powerhouse roster of celebrity spokeswomen, which includes Julianne Moore, Karlie Kloss, Eva Longoria, Frieda Pinto and Liya Kebede, along with brand experts and social influencers, will band together as catalysts for change and spark dialogue by putting forward their own words #WorthSaying on Twitter. 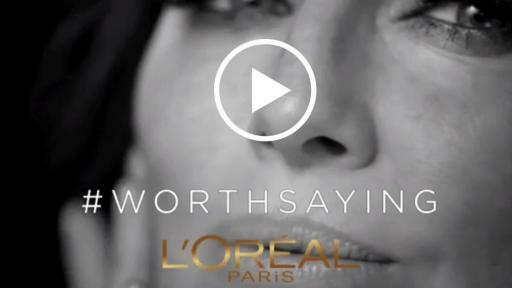 Women everywhere can take part in the conversation on Twitter during the broadcast on Sunday, January 10, 2016 from 5:00pm EST – 11:00pm EST by tagging @LorealParisUSA and using #WorthSaying. 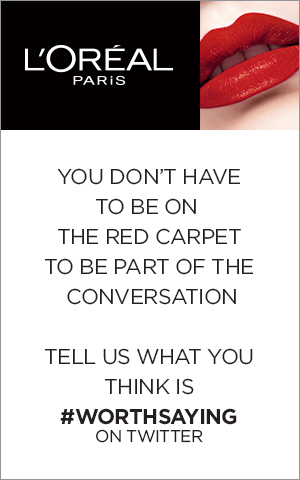 Via a live social command center, L’Oréal Paris will purposefully spotlight and amplify the meaningful sentiments women are expressing on the red carpet and in social media by selecting posts and sharing them on the brand’s platforms and in digital advertising. The campaign also will debut customized television billboards, banner ads and online videos, all in an effort to inspire women to join the #WorthSaying conversation and further elevate women’s voices to an unprecedented level. The L’Oréal Paris division of L’Oréal USA, Inc. is a total beauty care brand dedicated to empowering women by offering the most luxurious and innovative products and services available in the mass market. The brand’s signature tagline, “Because I’m Worth It,” was born in the United States in 1971 to celebrate the beauty and intrinsic self-worth of women, and for more than 100 years, L’Oréal Paris has been providing women around the world with products in four major beauty categories: hair color, haircare, skincare and cosmetics. With L’Oréal’s invention of hair color in 1909, the brand continues to serve as the leading innovator of hair products across color, care, and styling with brands such as Superior Preference, Féria, Excellence Crème, Advanced Haircare, Advanced Hairstyle, Elnett Satin Hairspray, the Ever collection, and OleoTherapy. As the #1 skin aging expert worldwide, L’Oréal Paris provides scientifically-advanced skincare products that are clinically proven to address individual skin concerns through its renowned brands Revitalift, Age Perfect, and Sublime Bronze. In 2014, L’Oréal Paris changed the way women interact with makeup by introducing Makeup Genius, an app that allows users to scan a L’Oréal Paris product or advertisement to virtually try on individual products or curated looks. 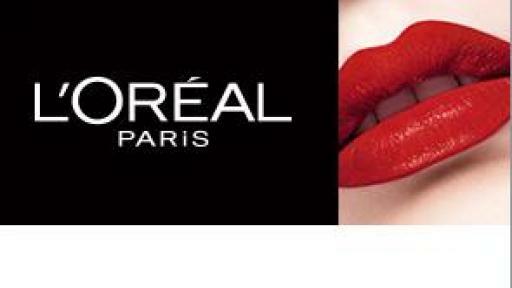 L’Oréal Paris’ iconic cosmetics collections include Infallible, True Match, Colour Riche, Voluminous, and Visible Lift. For more information about L’Oréal Paris and to receive personalized advice, expert tips, and exclusive content , please visit www.lorealparisusa.com or follow on Instagram, Twitter, Facebook, and Pinterest @LOrealParisUSA. 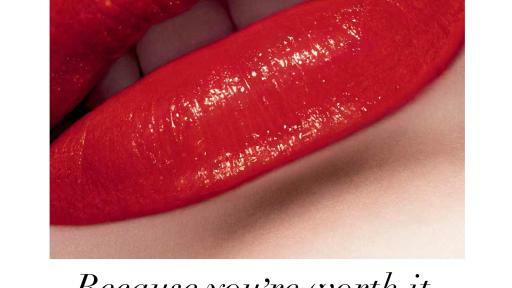 *L’Oréal Paris’ study on Positive Messaging was conducted online by Ipsos. The study tapped 1,000 women ages 18-74 from all over the United States and was fielded in December 2015.